While there are many different lenders who work with small business owners, SmartBiz offers convenience and service most others cannot. The company offers both Small Business Administration (SBA) loans and traditional loan products to help your company grow. While it doesn’t offer loans directly, it will match your application with banks that do make loans. Furthermore, the SmartBiz Advisor will tell you ahead of time how likely it is that your application will be approved. When Are SmartBiz Loans A Good Option? Are SmartBiz Business Loans Right For You? Any company that is looking to secure financing in order to grow or scale operations over the next several weeks, months or years would do well to consider SmartBiz. Loan proceeds can be used to hire employees, buy equipment or take other steps to improve business operations and cash balances. Working with SmartBiz may also be a good option for borrowers who are looking to get funding quickly. It is possible for a loan to be funded within a week, but it can take longer depending on the details of a specific application. A company may benefit from working with SmartBiz if it is looking for a streamlined and convenient application process. When you spend less time filling out paperwork, you have more time to focus on your customers, develop new products, and keep your eye on business operations. 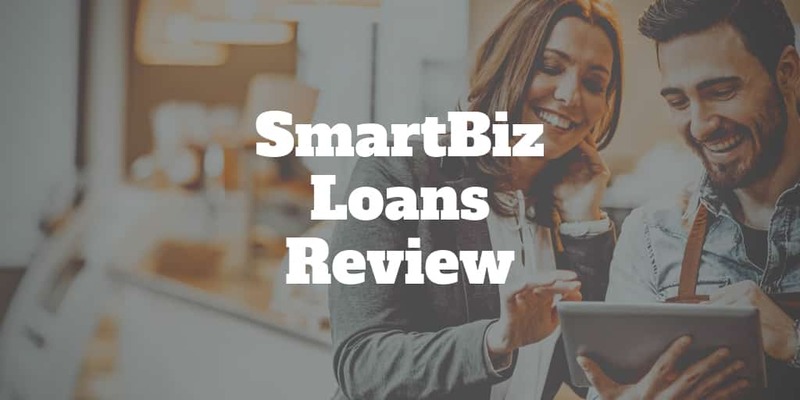 SmartBiz loans could be a good option for your company if it has been around for at least two years and makes a minimum of $120,000 per year in revenue. It might be also possible to secure a loan if you operate a law firm, a diner or any other type of company. Borrowing money can be costly if you choose the wrong lender, but SmartBiz wins high marks for offering very competitive interest rates and charging reasonable borrowing fees. Depending on the type of loan that you take out, only a single conditional prepayment penalty or none at all may apply. If you are looking to buy or invest in commercial real estate, SmartBiz can help you finance that investment. To get such a loan, you will need a credit score of at least 675 and will be required to meet other criteria such as being in business for at least two years. Business owners who are looking to refinance corporate debt may find SmartBiz loans to be effective too. You may also be able to refinance loans that were previously secured by personal assets and convert them to loans secured by the company’s assets or credit score instead. If you are looking for a small business loan, you can expect to pay an annual percentage rate (APR) of up to 9.83%. The APR for a commercial business loan goes up to about 6.66%. The rate is determined by adding the current prime rate plus any additional interest charged by the SBA or the lending institution itself. Loans that are not issued by the SBA charge interest rates between 7.99% and 24.99%. Fees are charged based on the loan amount and the type of loan that you are taking out. For instance, there is a fee of 2% of the loan proceeds for an SBA 7(a) working capital or debt refinance loan of $150,000 or less. However, for loans between $150,000 and $1 million, the fee increases to 3.5% of the loan balance. Commercial real estate loans under the SBA 7(a) program are subject to a 3% or 3.5% fee depending on the loan amount. The fee is reduced by up to 50% in eligible areas regardless of how the money is to be used. On top of fees charged by the SBA, SmartBiz may charge referral and packaging fees of 0.5% to 2% depending on the loan type. Bank fees may also apply, as well as closing costs as part of finalizing a business loan through SmartBiz. Other miscellaneous fees may apply, and they will be disclosed to you prior to agreeing to borrow and repay any funds from a lender. To borrow between $30,000 and $350,000, your company needs to have been in business for more than two years at the time the application was submitted. You must also have a personal credit score of at least 650 or higher. Other requirements include being current on government-backed loans and being free from recent bankruptcies, foreclosures or other charge-offs. To qualify for a loan of this amount, the business must be owned by at least one person who is 21 or older and who is a United States citizen. For commercial real estate loans of up to $5 million, the money can be used to both purchase and develop a commercial space. However, the space must be at least 51% owner-occupied. To be approved for a commercial real estate loan of any amount, you must show that you have enough money to operate the space and pay any personal debts at the same time. A down payment of 10% to 15% may also be required. Those who borrow less than $500,000 can use the money to refinance any debt that is not secured by real estate. Loans cannot be used for gambling or political purposes or for buying a pawn shop. They also cannot be used to promote a religious practice, fund mortgages or purchase mineral rights. The SBA may be able to further explain the limitations of using an SBA 7(a) loan during the application process. ✅ Fast Access To Cash: When applying for a traditional bank loan, it can take weeks or months to get a loan decision. In some cases, it could take days just to learn that the bank has received and reviewed your application. ❌ New Businesses May Not Qualify: You generally have to be in business for two years or more to qualify for a loan. A business formed last month likely wouldn’t qualify for funding regardless of how much money it is making. ✅ Use Loan For Variety of Applications: Regardless if you need it for working capital or for acquiring commercial real estate, it provides the flexibility that your business needs to thrive. ❌ SBA Approval May Be Needed: While a SmartBiz partner loan may believe that your company is worth lending to, the SBA may not agree. If you can’t secure approval from the SBA, it may be necessary to use other sources of funding. ✅ Large Loan Amounts: Whether you choose an SBA loan or other forms of financing, up to $5 million is available to help grow your company. ✅ Competitive Interest Rates: Low rates are offered for small business loans and commercial loans. Kabbage allows your company to borrow up to $250,000 that is repaid in 6 or 12 months. To qualify, you need to be in business for at least a year and have revenue of $50,000 over the course of a year or $4,200 per month over the past three months. Applying for a loan through Kabbage takes about 10 minutes and can be done through via mobile app. OnDeck provides business capital to companies that have been in existence for at least a year. Companies must generate at least $100,000 per year, and those applying for funds need to have a credit score of at least 500. OnDeck partners with SCORE, which helps new business owners learn more about obtaining business capital and other business principles. Funding Circle offers loans with interest rates as low as 4.99%. Most loans are funded within 5 days, and funds are repaid in monthly installments over a period of 6 to 60 months. Applications can be completed and submitted online in about 10 minutes. If you are looking for money to help your company grow, SmartBiz may be the right partner for you. Among the many benefits is that you can find out ahead of time whether your loan is likely to be accepted. Plus, both SBA and non-SBA loans are accessible. This affords companies the opportunity to get financing to refinance debt or hire employees in whatever way is best for them. Flexible loan repayment terms of up to 25 years result in manageable monthly payments for companies of all sizes. Depending on the loan type, there may be no prepayment penalty, which means that loans may be repaid sooner to minimize the total interest paid. If there is any drawback to SmartBiz, it is that companies that haven’t been in operation for more than two years typically don’t qualify for loans. Weigh the pros and cons for yourself, and decide if SmartBiz is right for you.